There are things we all need in life. We all need to push ourselves to try things that seem hard. We all need to feel schmancy sometimes. And most importantly, we all need a girlfriend with killer dessert instincts. 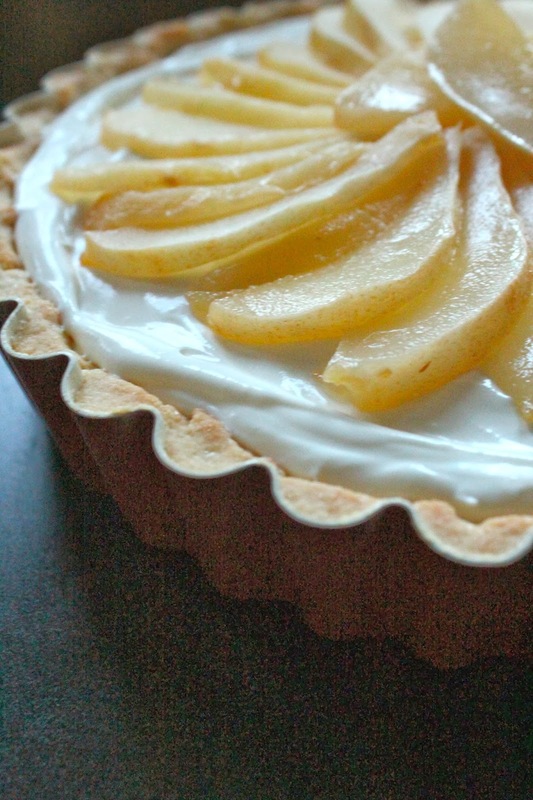 I knocked out three birds with one stone with this Honey Roasted Pear and Goat Cheese Tart. This stunning dessert takes some time, but it can easily be broken up into phases and prepared ahead of time. Beautiful fruit makes for a stunning presentation, while goat cheese gives unexpected and subtle tang. My college bestie is an enviable baker, so it's totally normal for the two of us to have extended text conversations involving the words shrinkage and hot fingers. Get your mind out of the gutter... this is pastry, people. 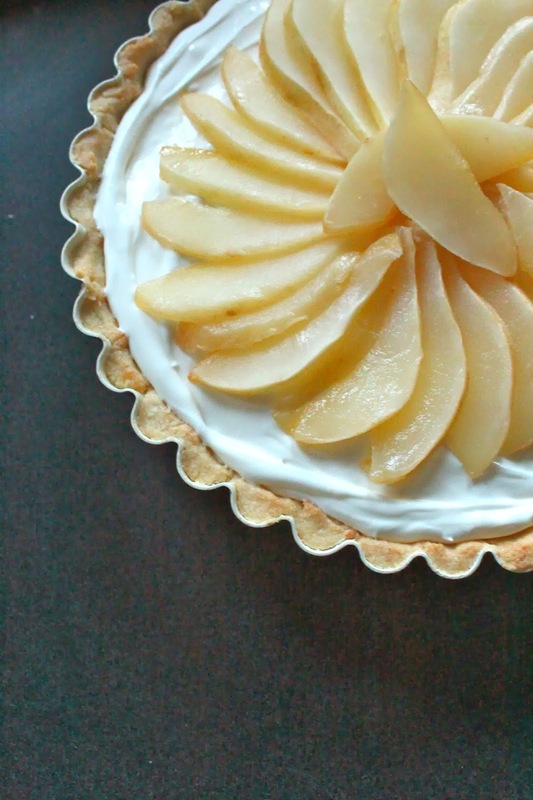 And she did not let me down when she shared Maureen Abood's tart shell recipe. This may be blog blaspheme, but I much preferred it to even Smitten Kitchen's and it was easier. This one really was unshrinkable. This shell has a delicious sugar cookie like texture, perfect for delectable fillings. In a true departure from typical pastry, you don't roll out this dough. You see, almonds give it enough body that even the warmth of your fingers patting it into the pan can't ruin the texture. I like that its less perfect than a rolled crust. In this imperfection, you see the time and craft of the one preparing it. Love in dimpled, uneven dough. Simple roasting and a drizzle of honey bring out the best of winter pears. And a simple goat cheese filling whips to an airy fluff. Arrange and beautifully as you can. Don't rush. It's good to take your time every once in awhile. Schmancy deserves a moment. Once your peaceful pastry moment has passed, send a bunch of pics to your dessert friend with dirty jokes, gloating in your victory. It would only be better if you could enjoy it together. 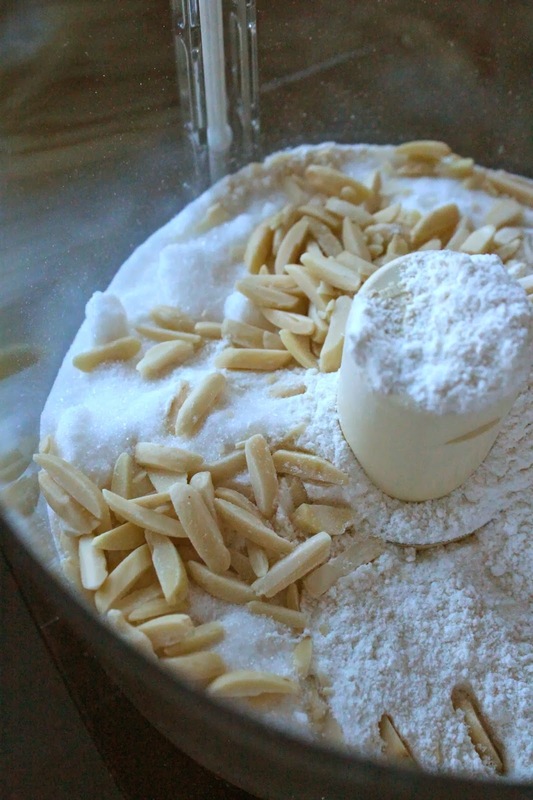 Blend flour, 1/4 cup sugar and almond together in a food processor until nuts are finely ground. Add in 10 tablespoons of butter and pulse until a course meal forms. Add egg and process until dough forms. 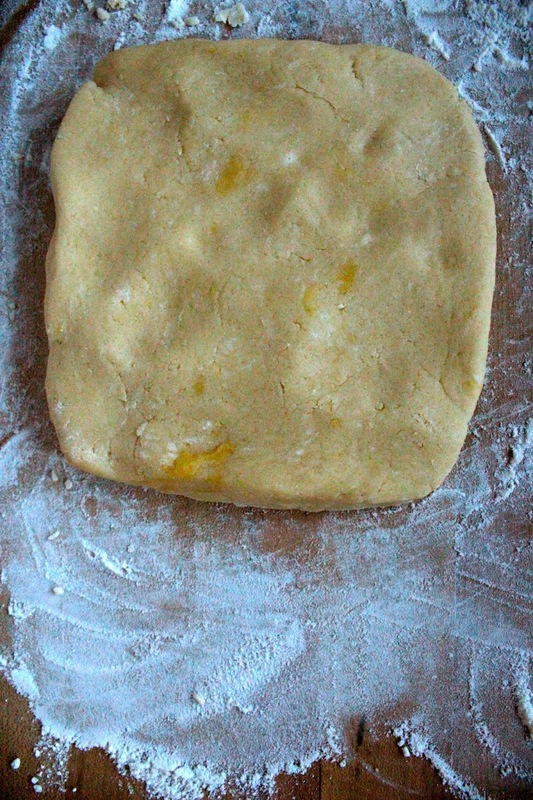 Turn out dough onto a floured surface and pat into a 1-inch thick square. Cover in plastic wrap and chill for at least an hour (or as long as overnight). 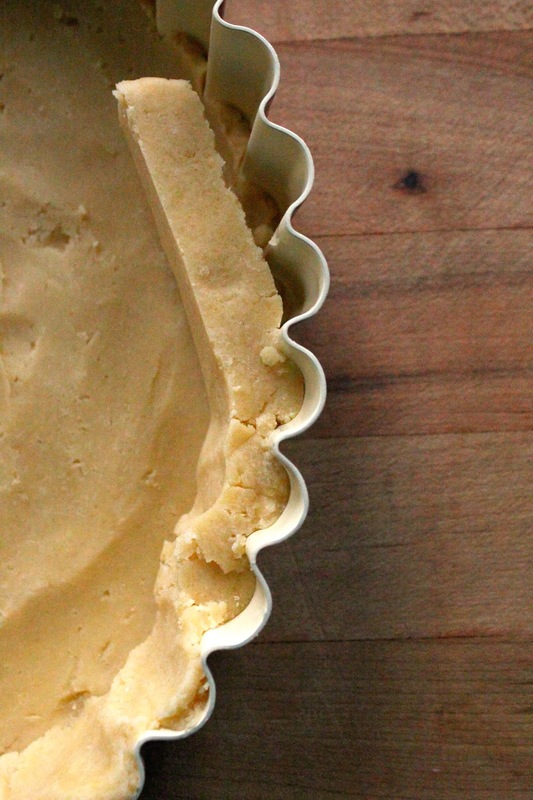 Line the bottom of a removable 10-inch base tart pan with parchment. Cut dough into 1-inch slices and lay in bottom of pan, using your fingers to flatten and spread the dough. 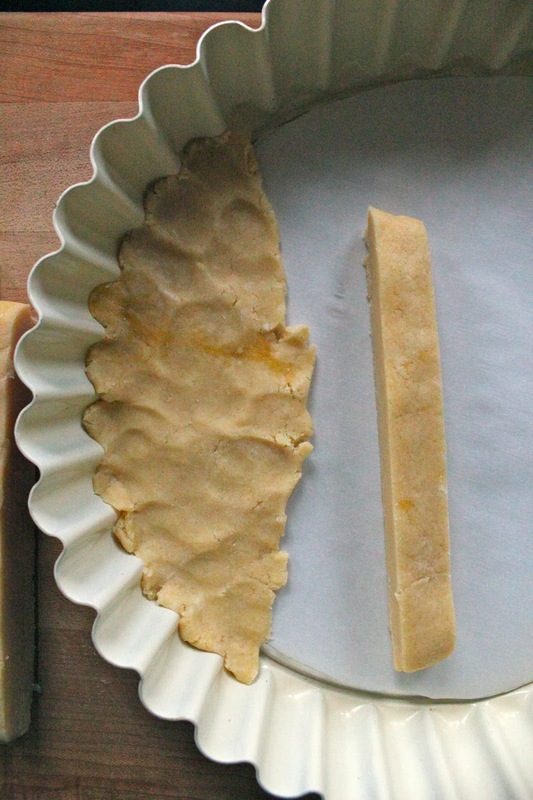 Line the sides of the pan with slices of dough, pressing into the fluted edges. 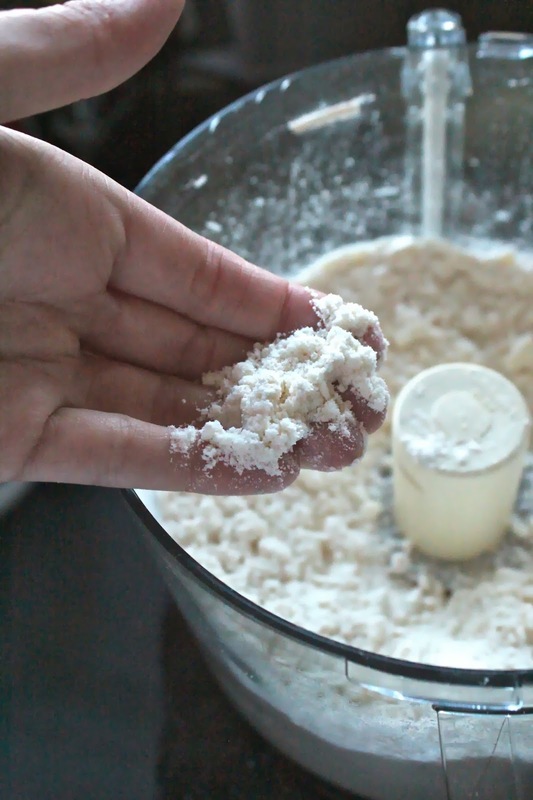 Use fingers to press sides into bottom dough. Refrigerate for an hour. While dough is chilling, preheat oven to 375 degrees. Place pears in a foil-lined baking dish and sprinkle remaining butter over top. 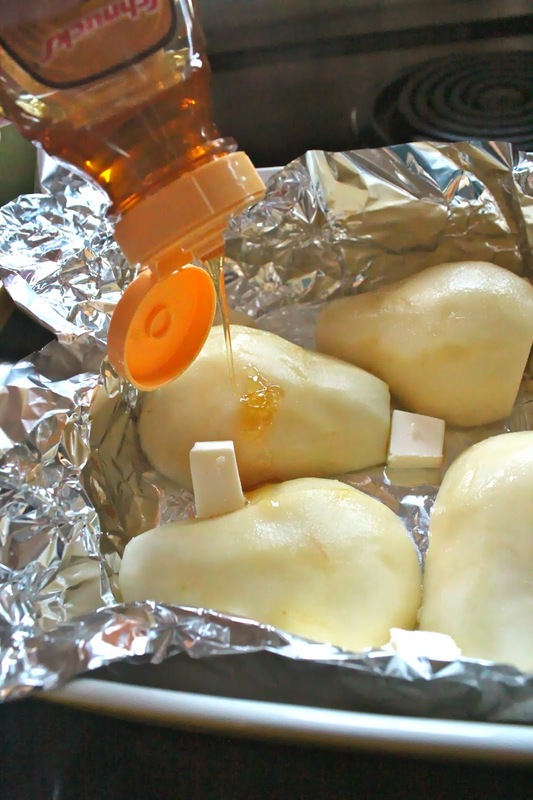 Drizzle honey over pears. Roast pears for 45 minutes, until fork-tender. 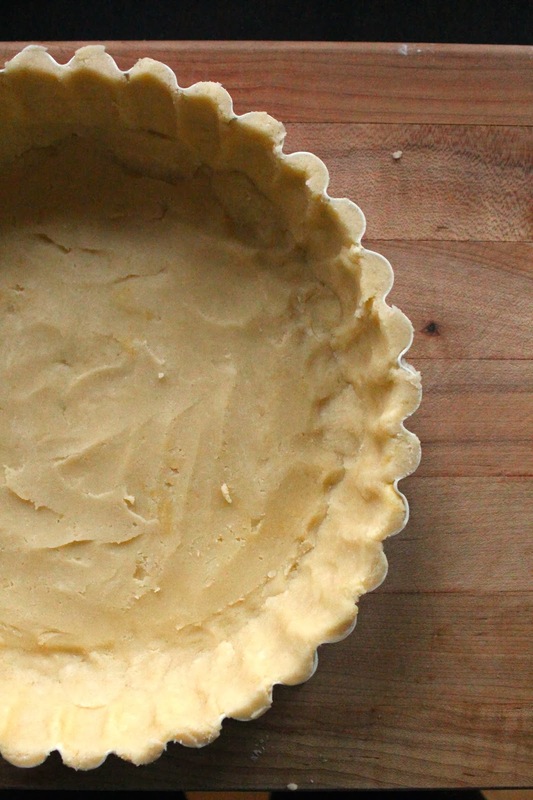 Bake crust until golden brown, between 15 and 20 minutes. 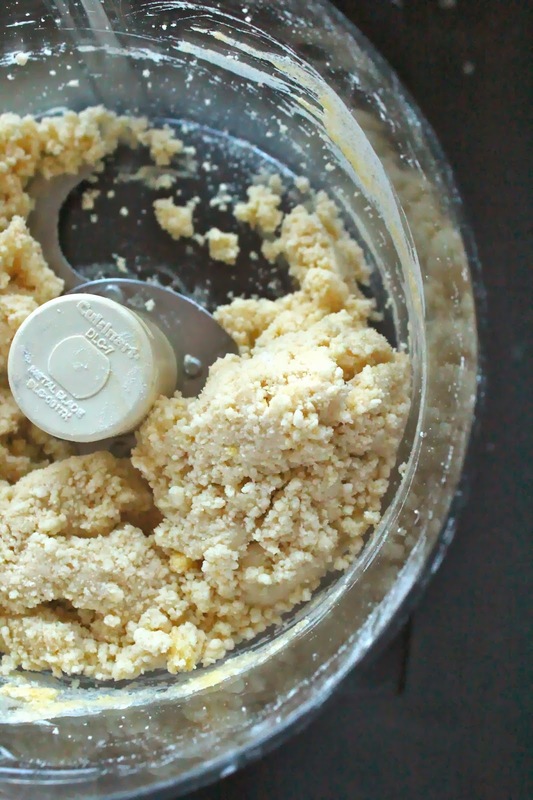 If dough puffs up during baking, use the back of a spoon to lightly press down while cooling. Allow dough to cool before removing pan edge by pushing up removable bottom. 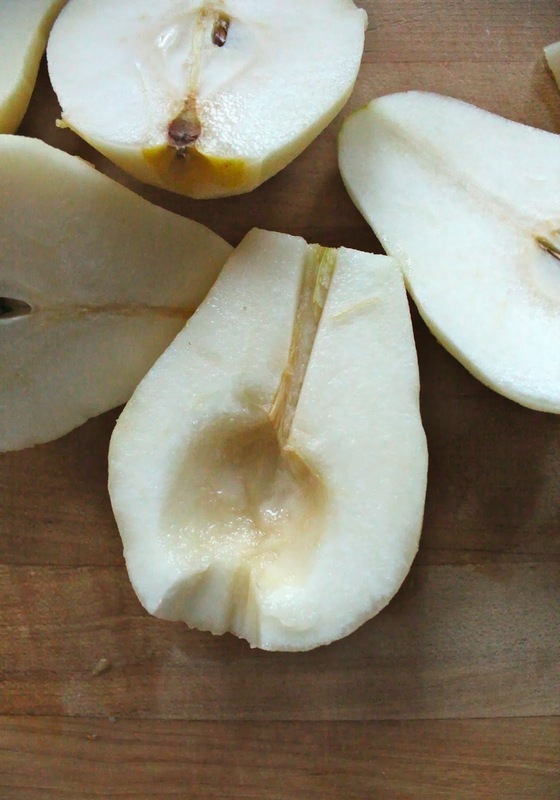 Once pears have cooled, cut into 1/4 inch slices. 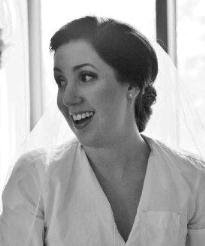 Pat dry with a paper towel. 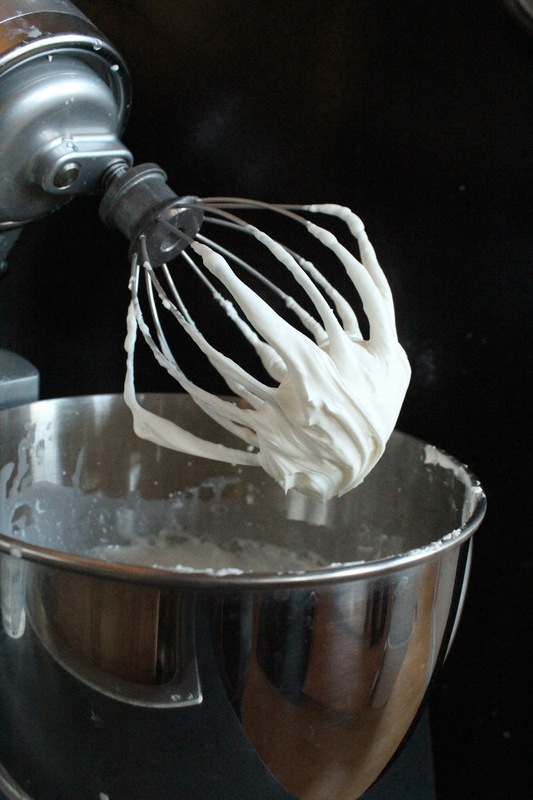 In a mixing bowl fitted with a whisk attachment, combine goat cheese, whipped cream cheese and cream. Whip for 3-4 minutes until light and fluffy. 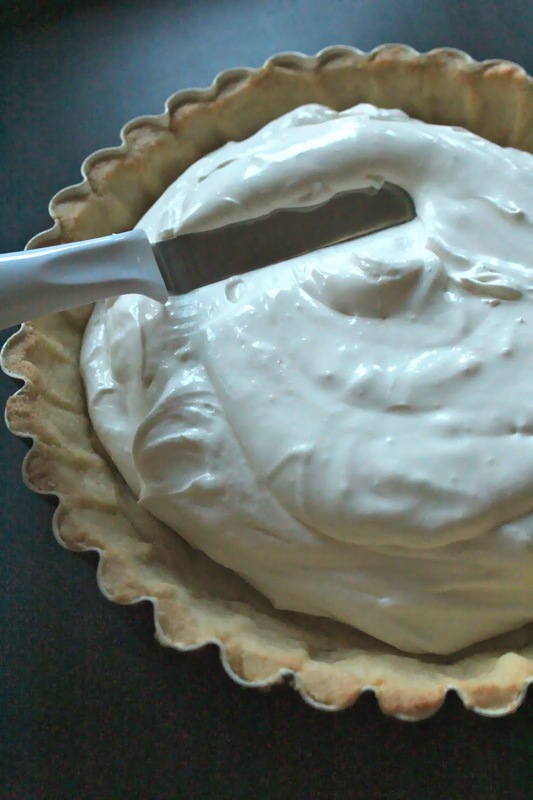 Use an off-set spatula to spread cream in cooled pastry shell. 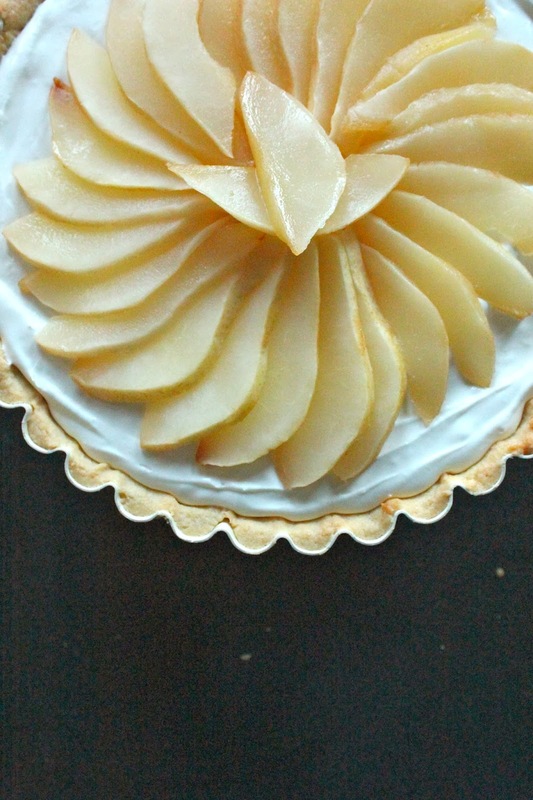 Arrange pear slices in a layered spoke pattern. Refrigerate for another 30 minutes before serving. Enjoy!